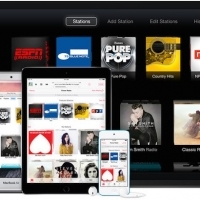 Apple plans to attract users to sign up for Apple Music by offering a free three-month trial period, but another way it will attempt to lure subscribers is by offering exclusive content through the incoming streaming music service. In late April, it was reported that the company was in talks with multiple artists, including Florence and the Machine and Taylor Swift, about exclusive content deals. 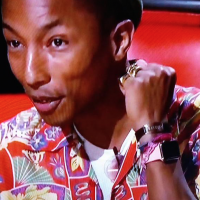 Just a few months later, hip-hop artist Pharrell Williams appears to be one of the first artists to reach a deal with Apple. Pharrell recently tweeted a teaser video for his upcoming single "Freedom," and the ending credits reveal that the song will be exclusive to Apple Music, which launches June 30 on iPhone, iPad, iPod touch, Mac and PC for $9.99 per month after the free trial period. Freedom. June 30th @AppleMusic https://t.co/82MceAkbRe— Pharrell Williams (@Pharrell) June 23, 2015 "Freedom" was also the soundtrack of the Apple Music ad "Worldwide," featuring DJ Zane Lowe, that was shown at WWDC. It remains unknown what Apple is offering artists in return for making their music available exclusively through Apple Music, as the terms of the deal have not been disclosed, but it likely involves additional payment beyond Apple Music's standard 71.5% to 73% revenue sharing model. Apple already pays a few percentage points more than market leader Spotify and other competitors, which share approximately 70% of revenue with artists and music rights holders.